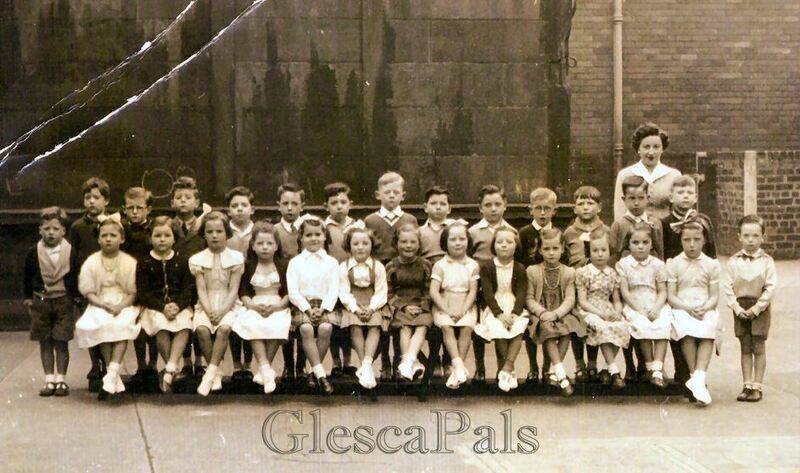 ".......... Great website I hope this photo and the 1956-57 school photo might stir a few memories. I was born at 191 Fordneuk Street 24 Apr 1949 in the close next to the tobacconist, at that time it was a post office, the other side being a sweetie shop. My family moved to 277 Main Street in 1953 Dad Jackie Watson, Mum Nessie Watson my brother John and me. My neighbours in Main Street were the families : Gemmell, Dobbs, MacGregor, Moore, Ingram & Lindsay. My first school was Rumford Street Primary, first teacher was Mrs Rennie then onto this class with Miss Gibson......"